MIP, Inc., (Montreal, Quebec) a world-wide leader in healthcare textiles, have announced the appointment of Joseph Marcogliese as USA Product Manager. Joseph brings many years of product management experience, most recently with Brother, Inc. where he worked all aspects of product management from conception to launch. 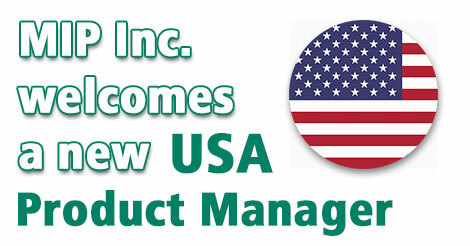 At MIP, Joseph will be responsible for managing product strategy for the USA Division, collaborating with product development, manufacturing, sourcing and marketing. Mark Mann, Vice President USA Business Unit says “We very pleased to welcome Joseph on board. We are confident that by adding Joseph to the team we will continue to strengthen our position in the important business channels in which we serve. And we are equally confident that MIP customers will substantially benefit from Joseph’s experience in product management”. Find out more about MIP Inc.